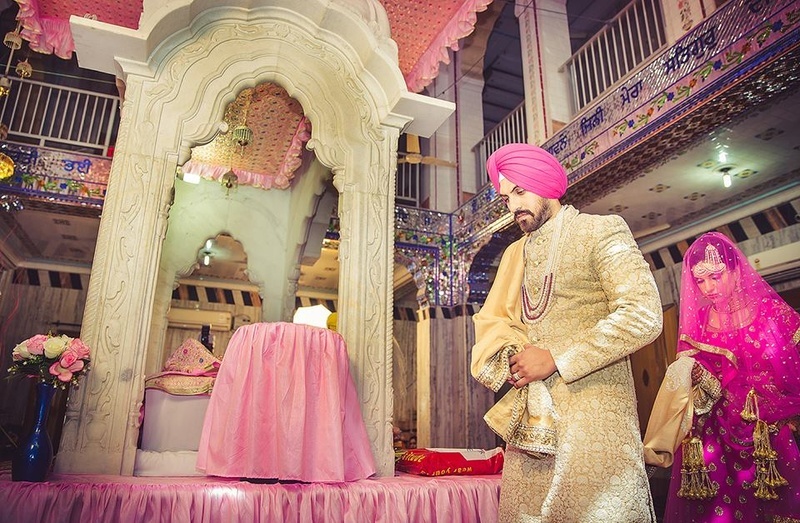 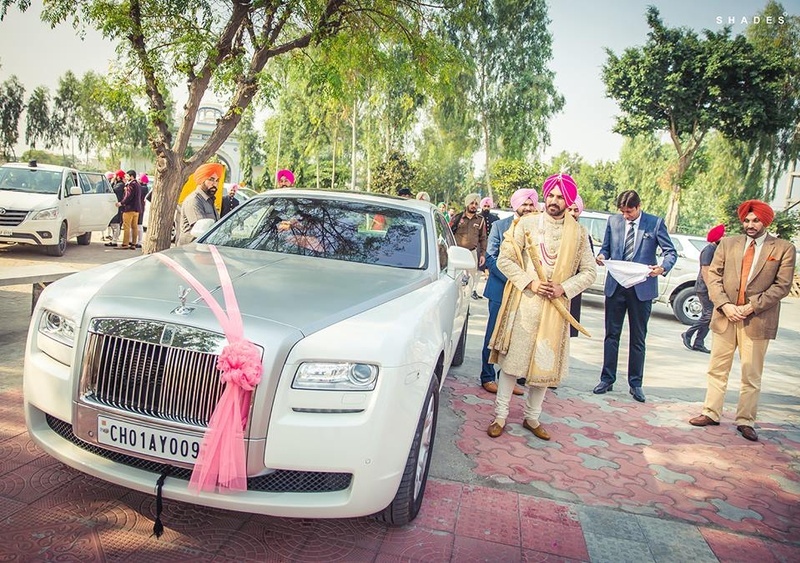 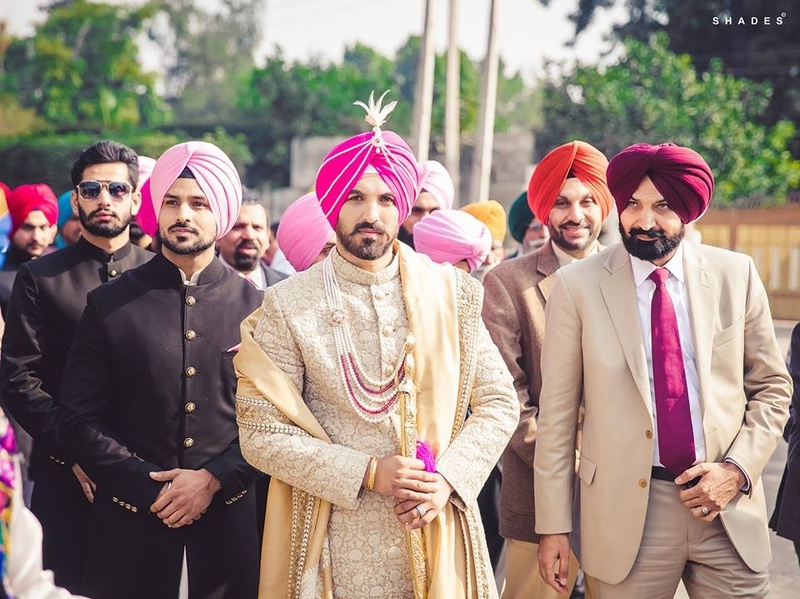 Navi and Aman's Chandigarh based Sikh Gurudwara wedding immaculately captured by Shades had us glued to our screens. 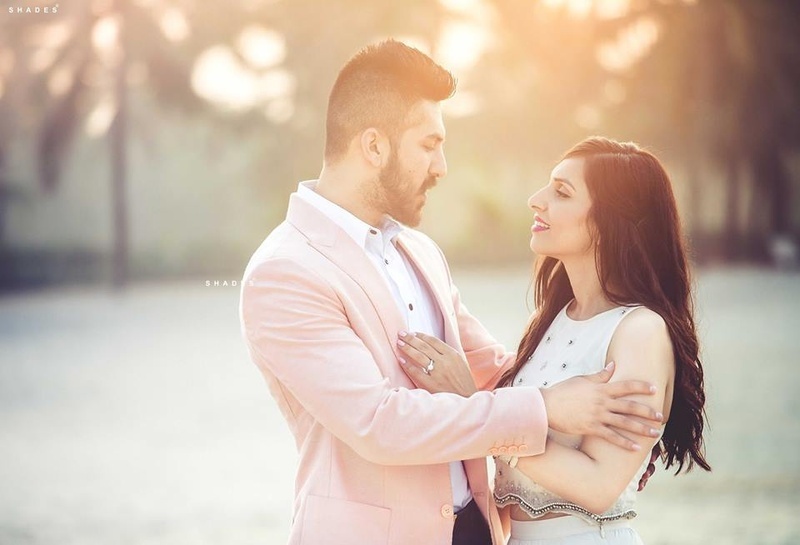 The ethereal romantic prewedding shoot in pastel hues amidst nature resulted in picture moments that these two will relive for a lifetime. 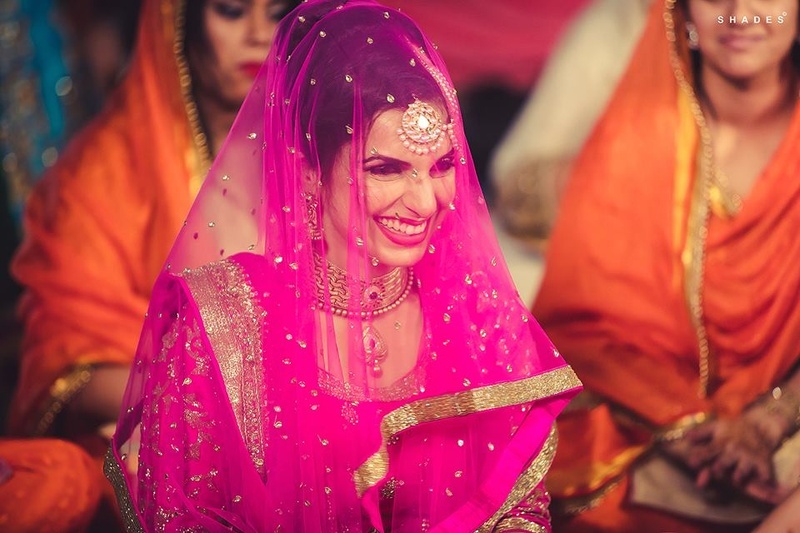 Navi's gorgeous pink wedding Anarkali and gold reception outfit stole the show alright, but it was her big big smile that shone the brightest. 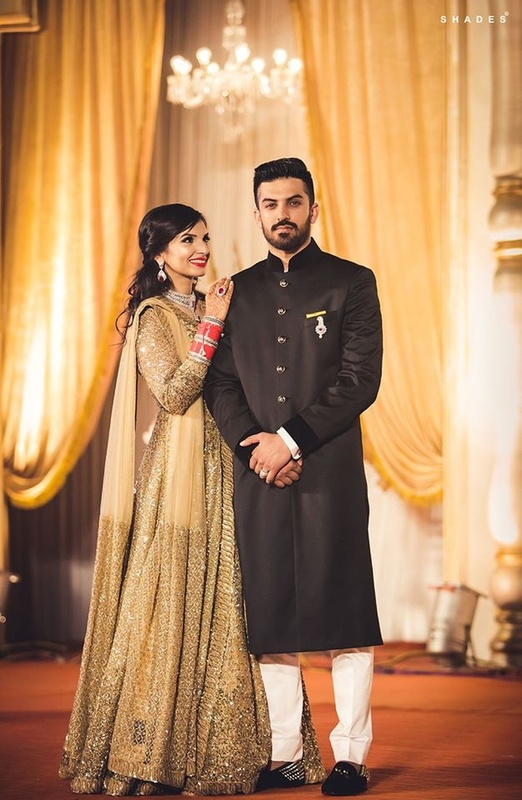 Aman stood tall and regal in gorg black sherwani. 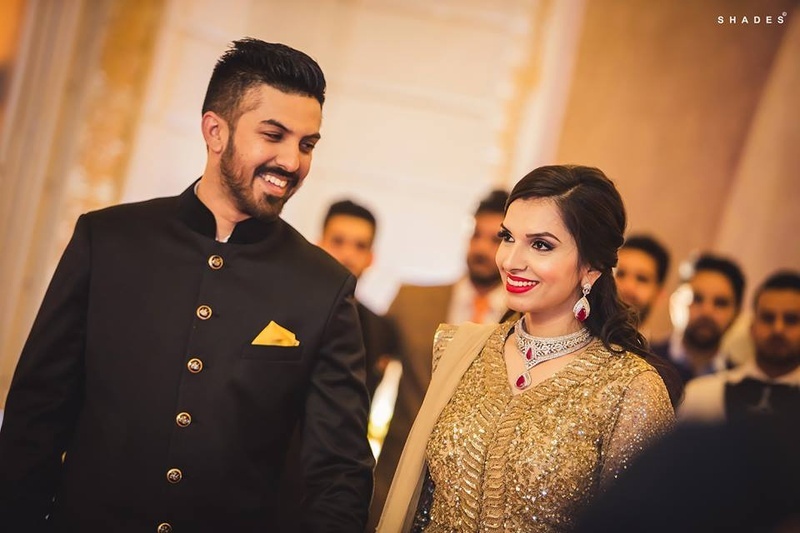 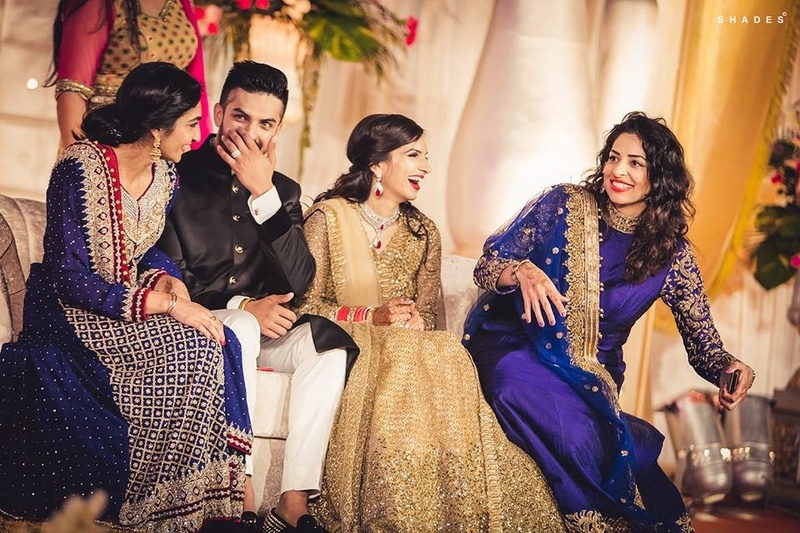 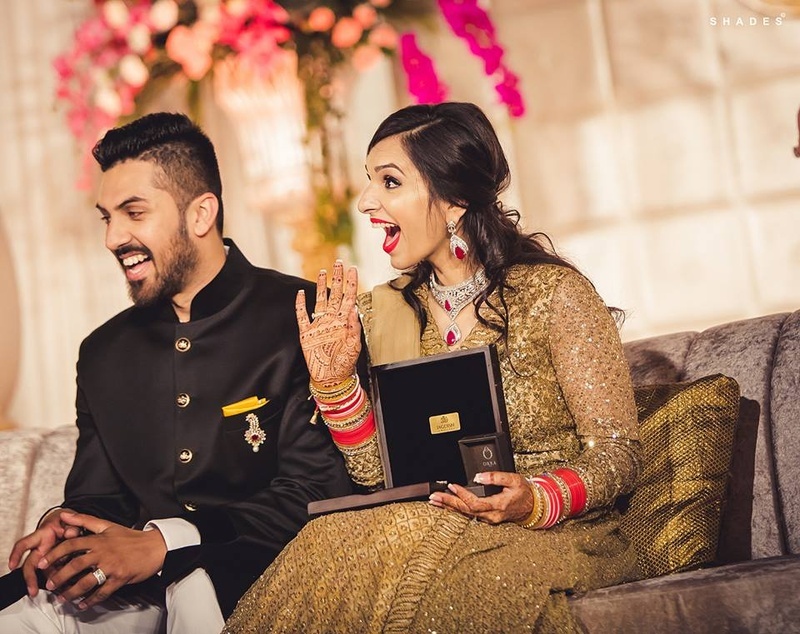 A sohna munda weds a Sohni kudi for sure! 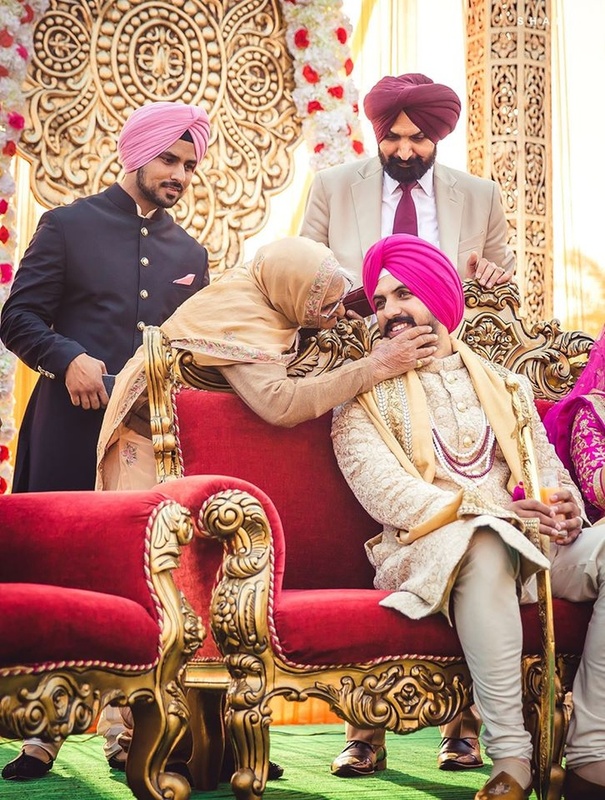 We loved their wedding. 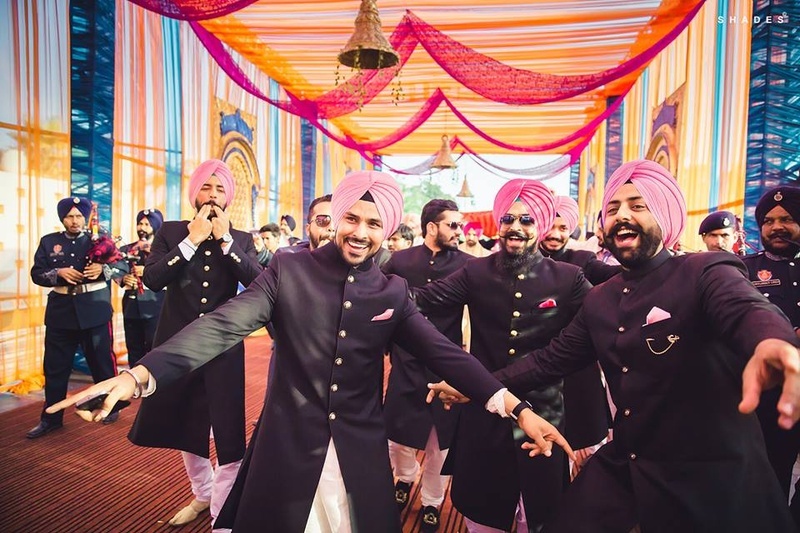 Scroll on to see if you love it as much. 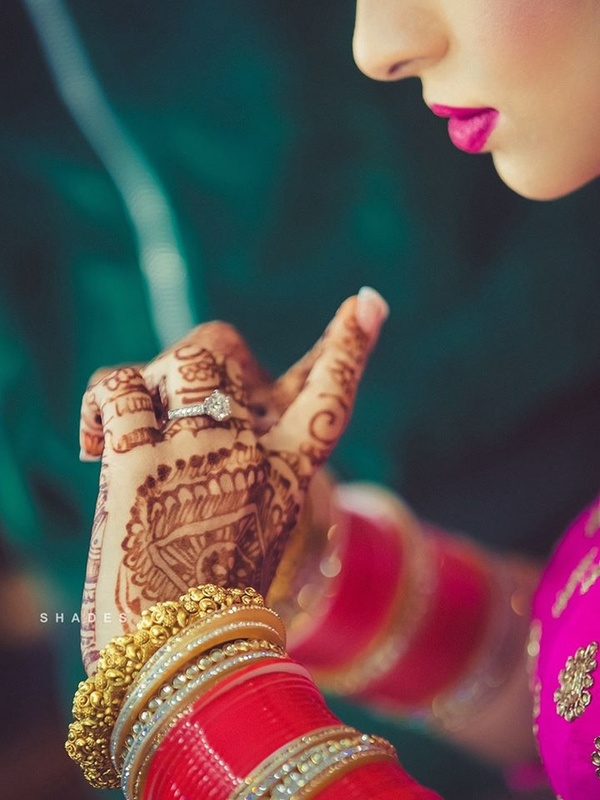 Share, like, comment! 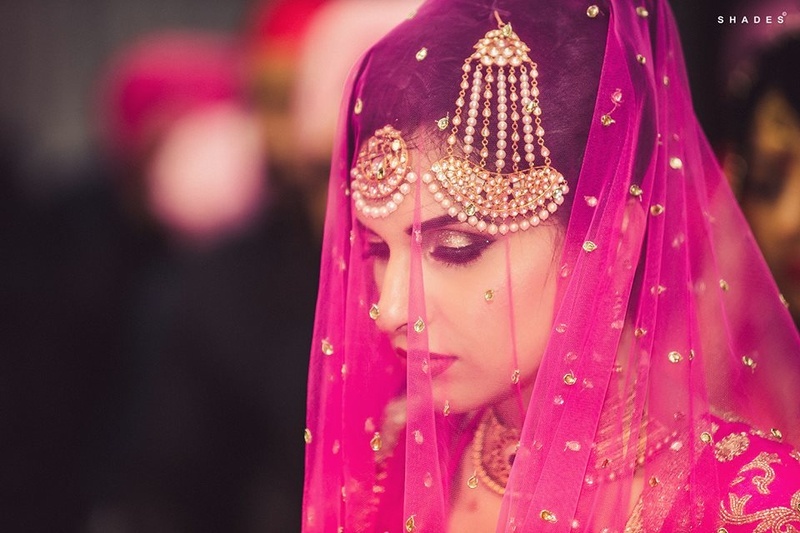 Pastel hues and whimsical lighting ! 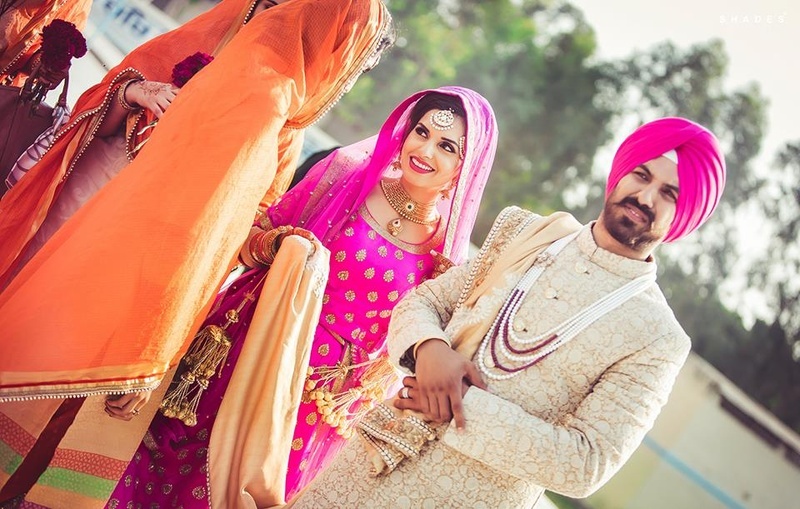 Complementing each other with color coordinated outfits for their pre wedding shoot. 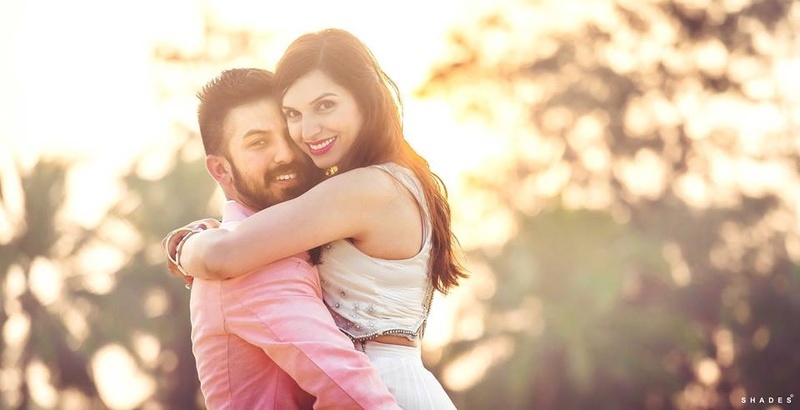 Whimsical pre wedding shoot by Shades Photography India. 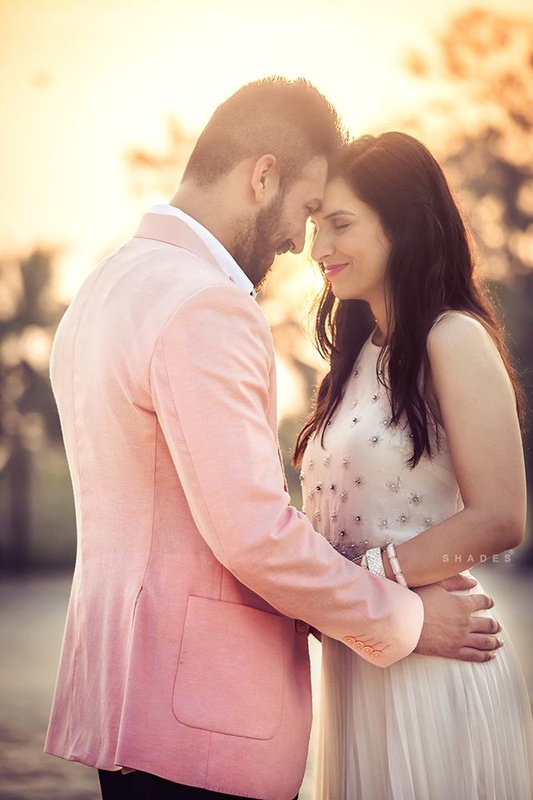 Navi in white crop top with silver embroidery paired with white pleated skirt for the pre wedding shoot. 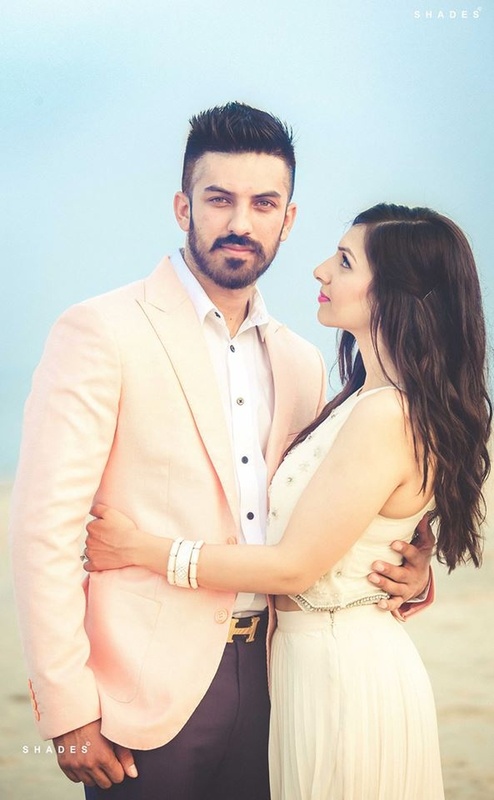 Aman in white shirt and blue pants paired with classy pastel pink blazer and that killer look. 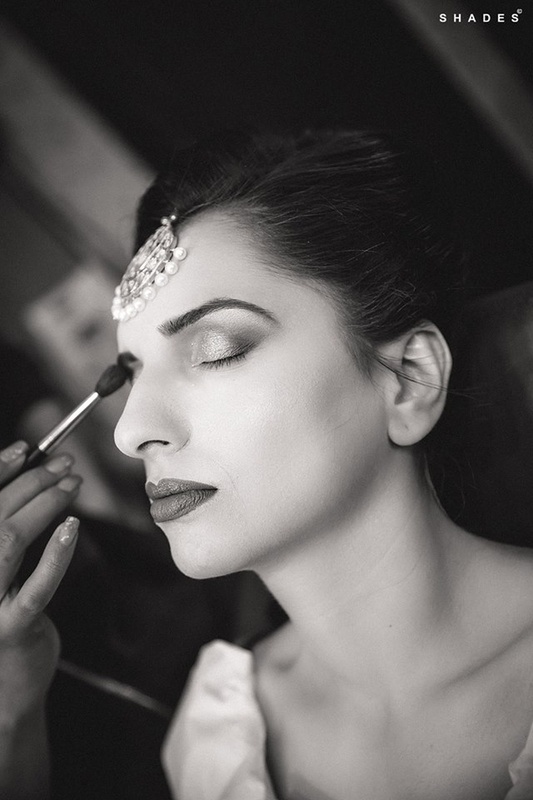 Black and white makeup photography. 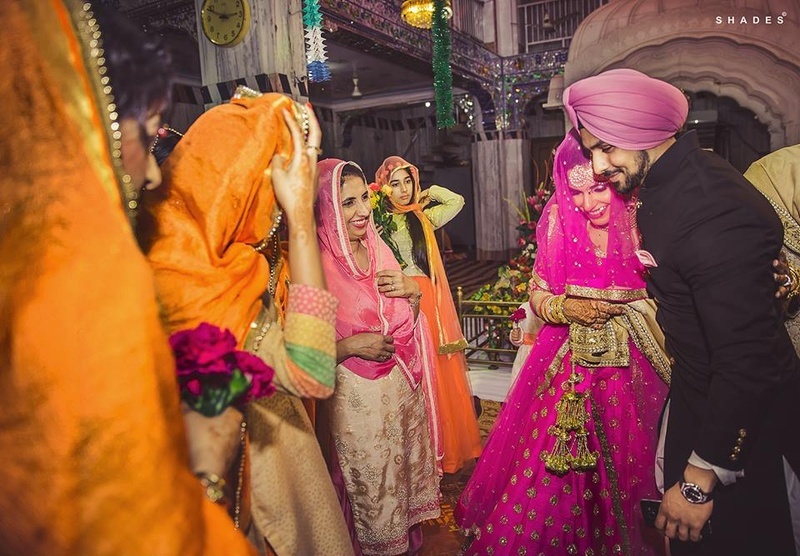 Getting ready for the wedding ceremony held at Gurudwara, Chandigarh. 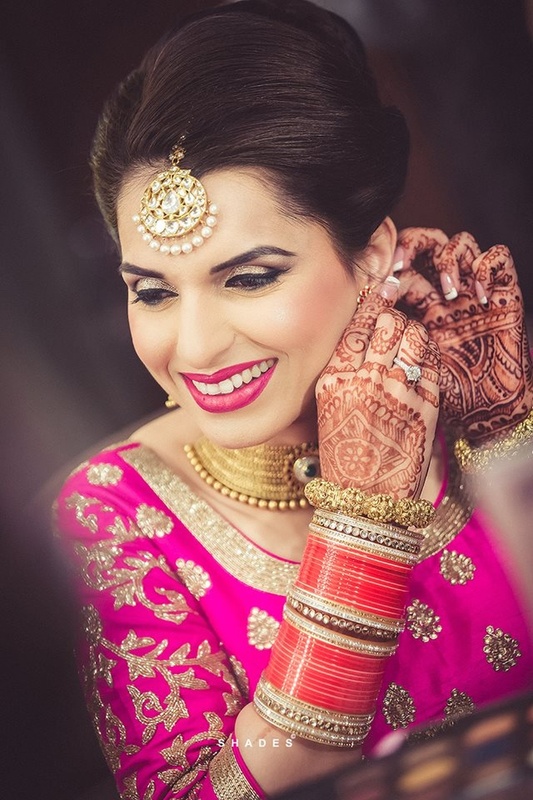 Bridal makeup on point with that lovely maang tikka and hands filled with beautiful bridal mehendi. 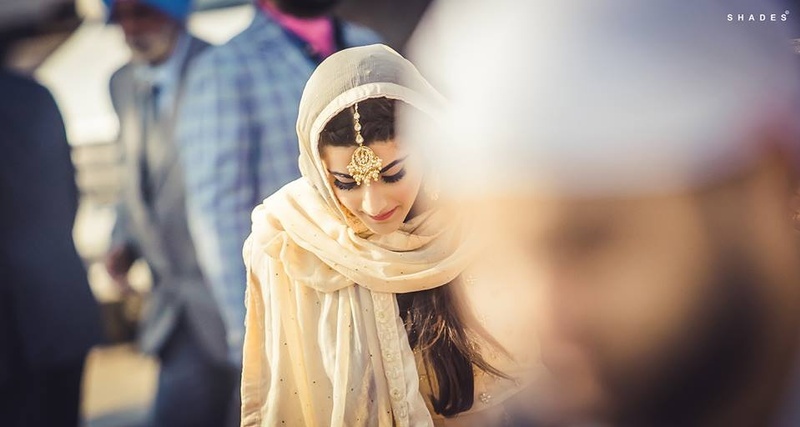 Looking royal and elegant with that beautiful maang tikka and passa. 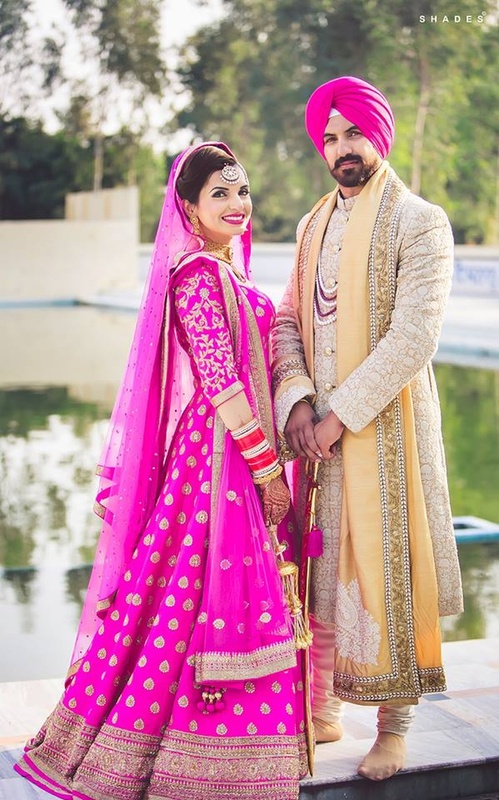 Navi in bright pink anarkali with gold embroidery paired with royal bridal jewellery and elegant makeup. 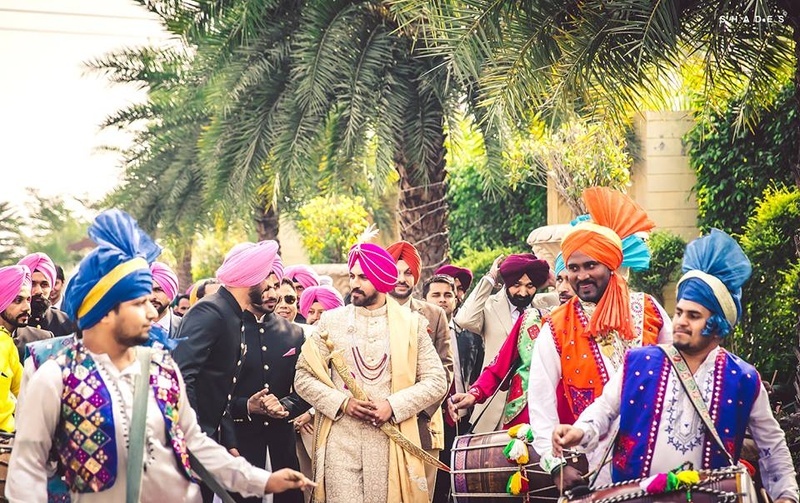 Colorful and bright baraatis entering the wedding venue with dhol and nagadas for the wedding ceremony. 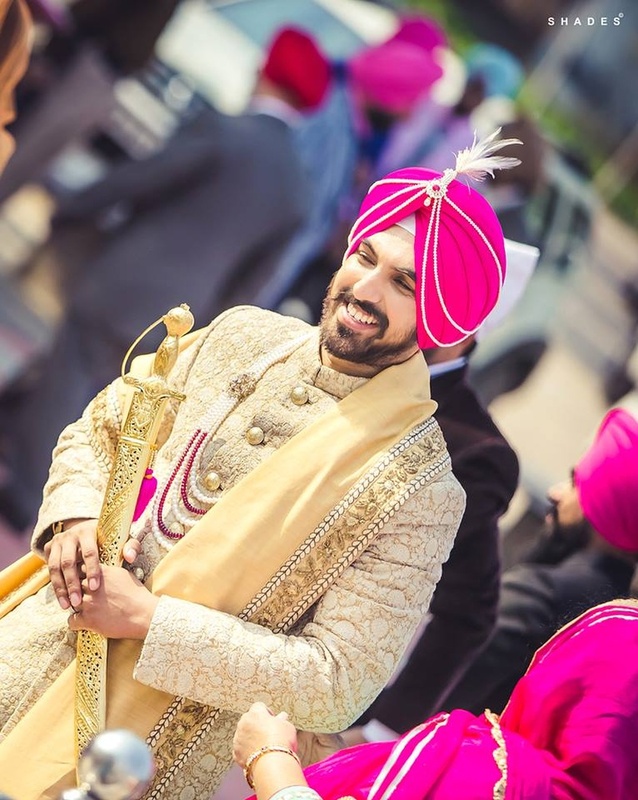 Aman wearing royal white and gold sherwani styled with pearl neck piece and pink turban. 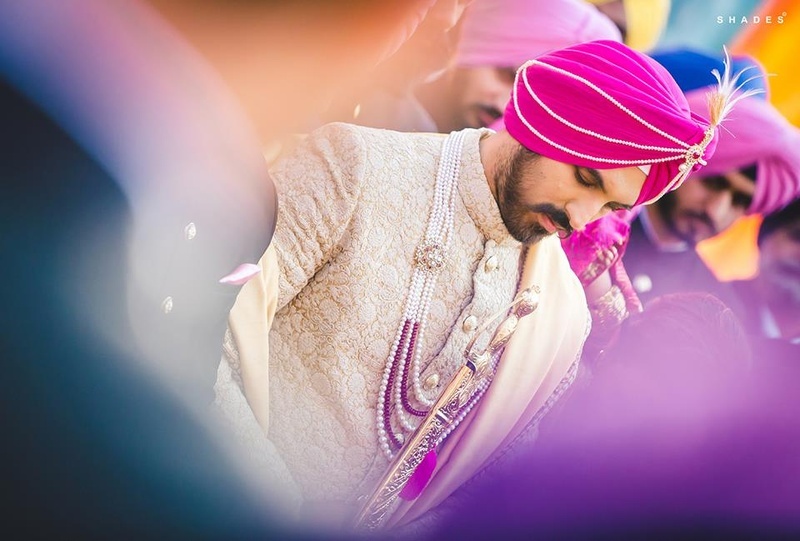 Royal white and gold sherwani paired with beige dupatta and bright pink turban. 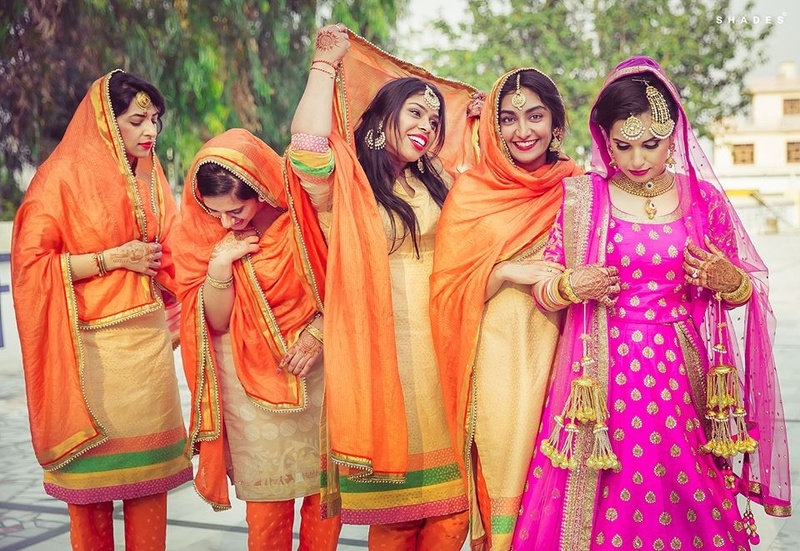 Bridesmaids wearing same outfits for the wedding day. 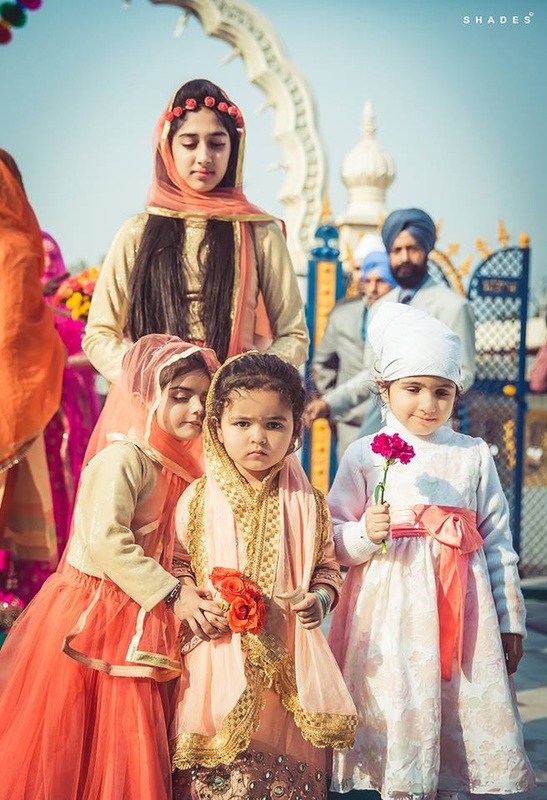 Cute kids wearing Indian outfits at the wedding ceremony. 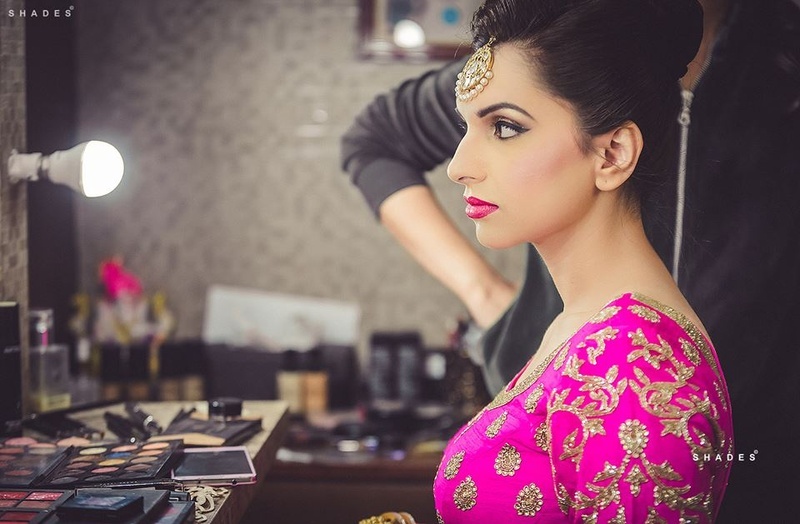 Wearing bright pink anarkali with sheer dupatta over the face and minimal elegant jewellery and makeup. 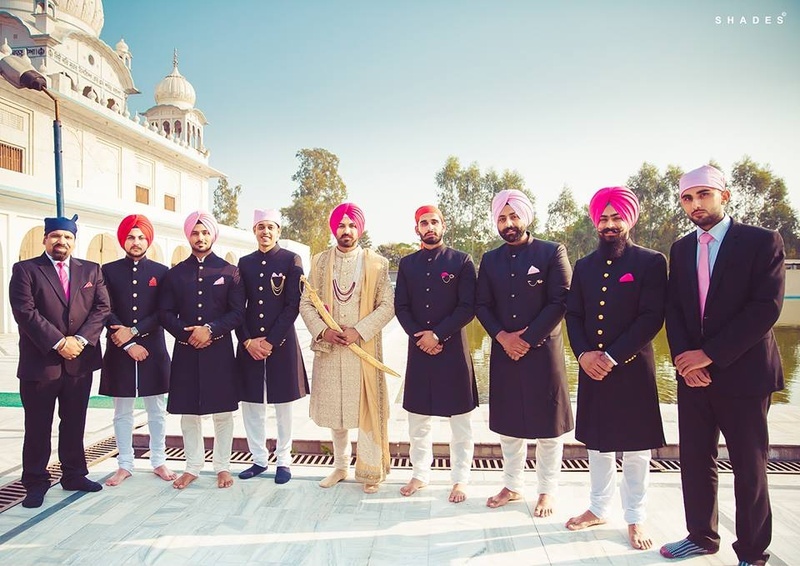 Groomsmen dressed up in black outfits paired with pastel turbans. 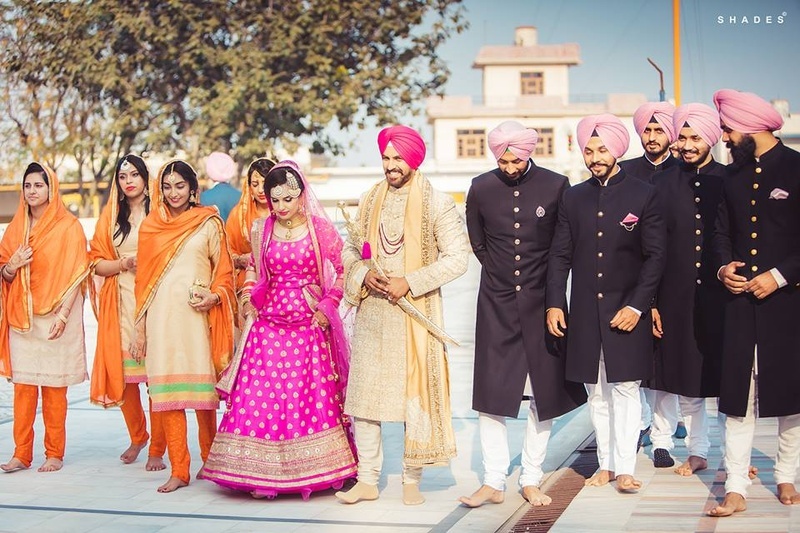 Bride and groom walking down to aisle towards the wedding ceremony. 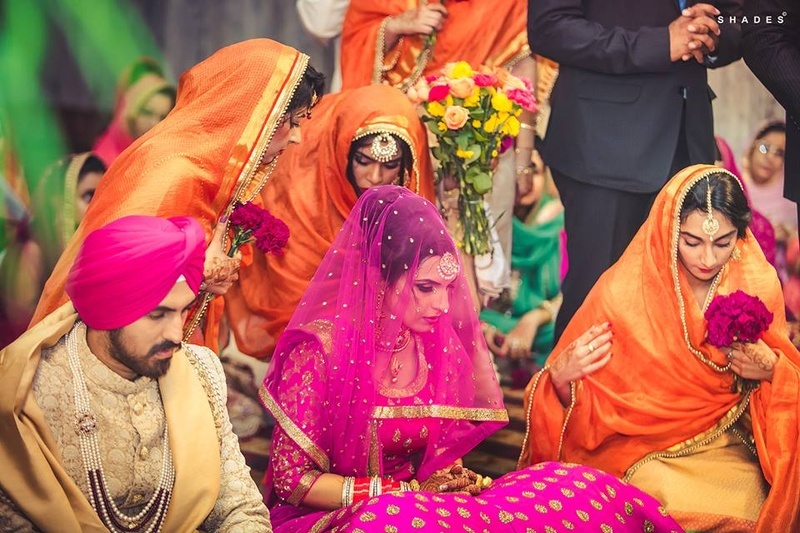 Bridesmaids fixing up brides dupatta. 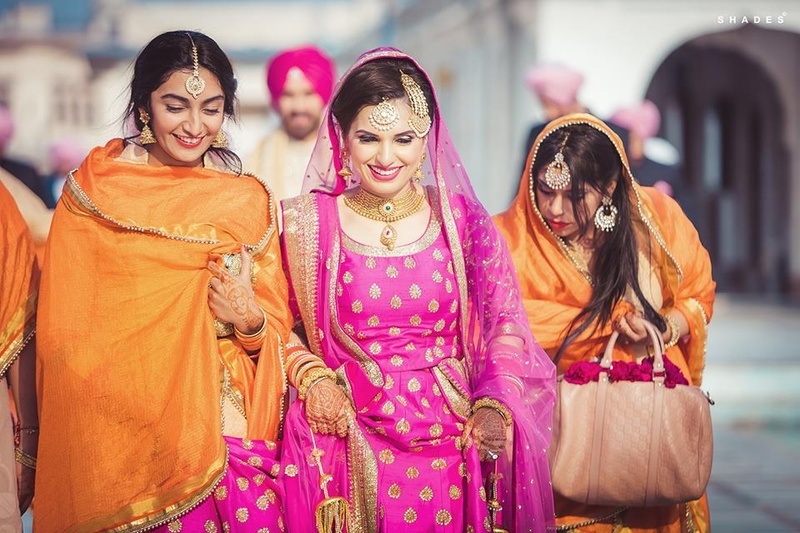 Sohna munda and sohni kudi. 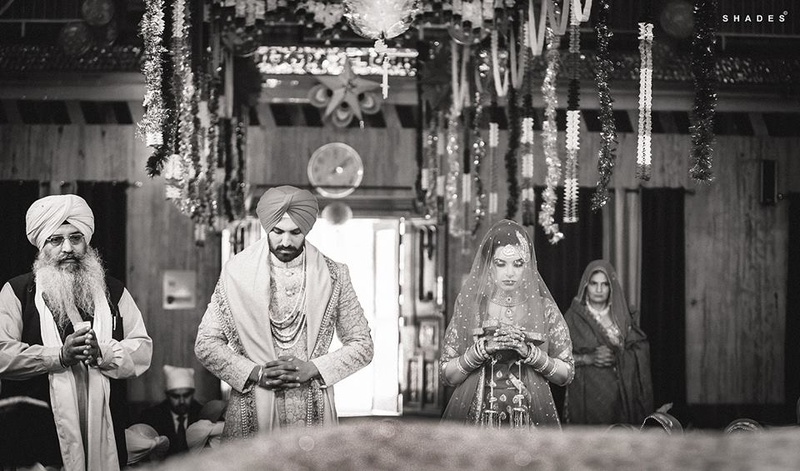 Black and white wedding photography by Shades Photography India. 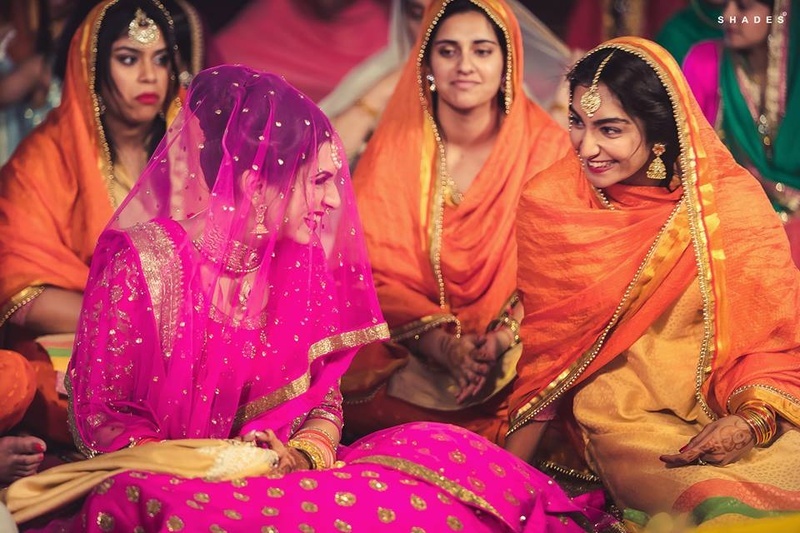 That smile under that sheer pink dupatta. 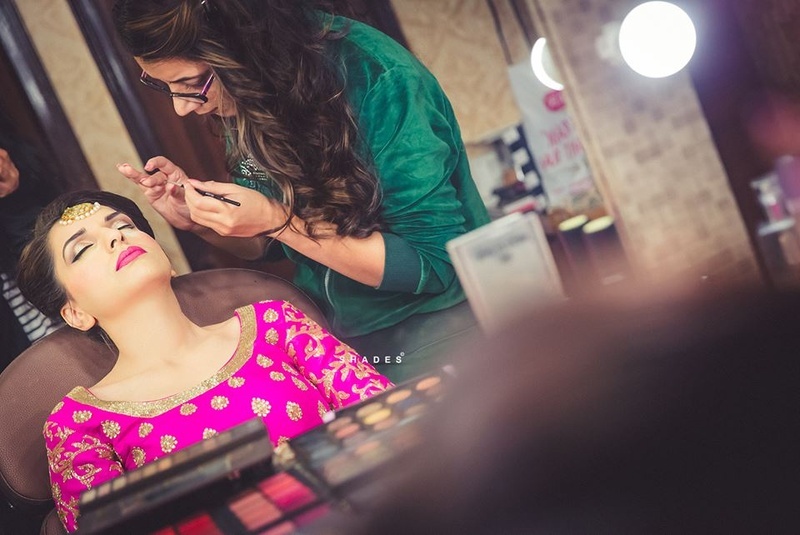 The in between bride and bridesmaids moment. 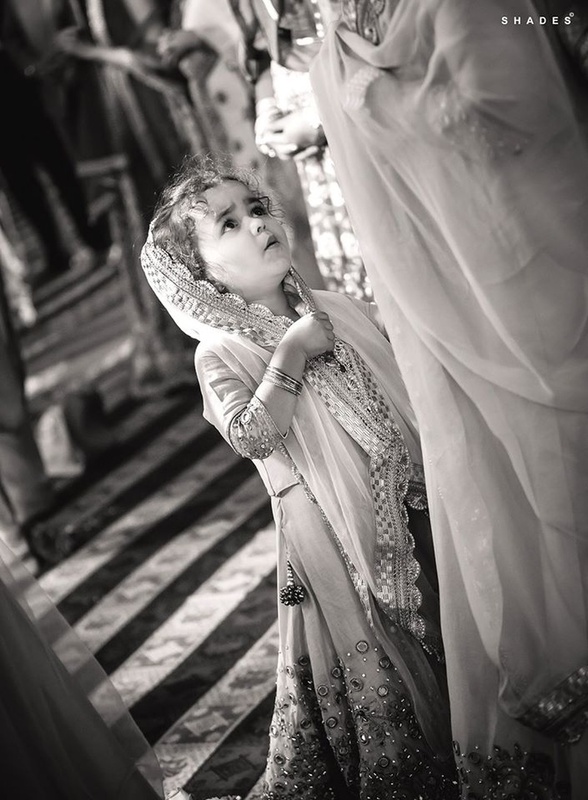 Cute little Kid at wedding wearing lehenga with dupatta. 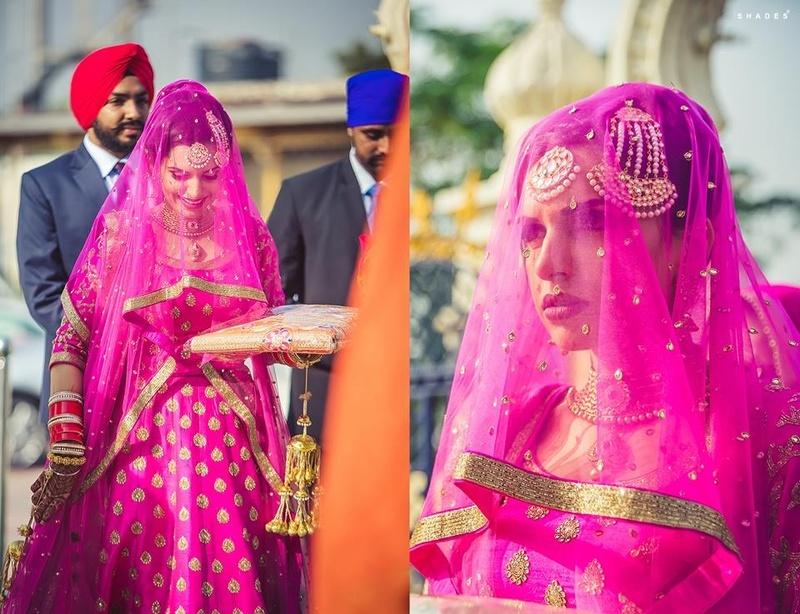 Sikh wedding held at gurudwara. 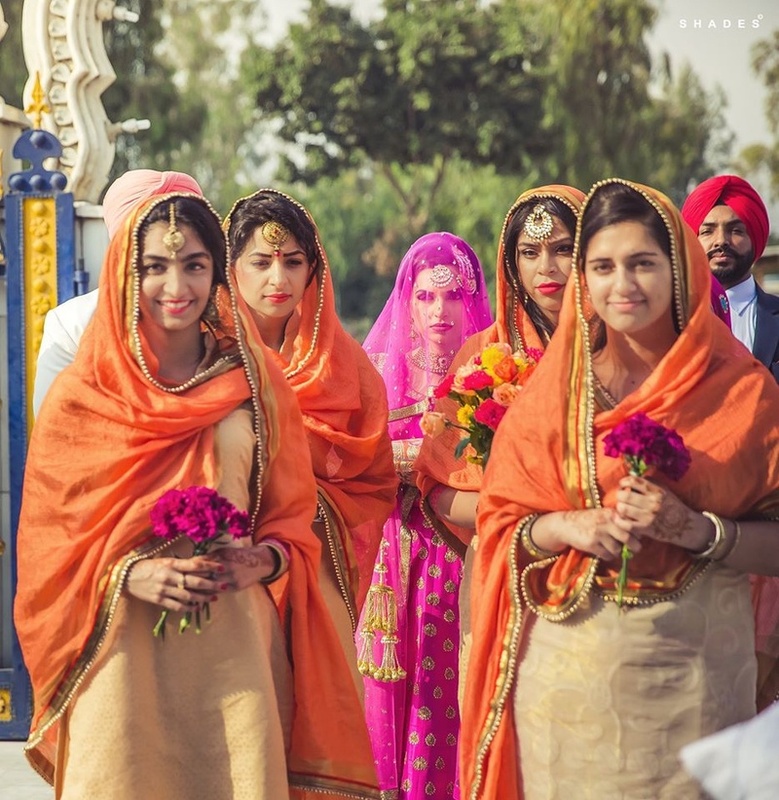 Navi wallking out of the gurudwara with her bridesmaids after the wedding ceremony. 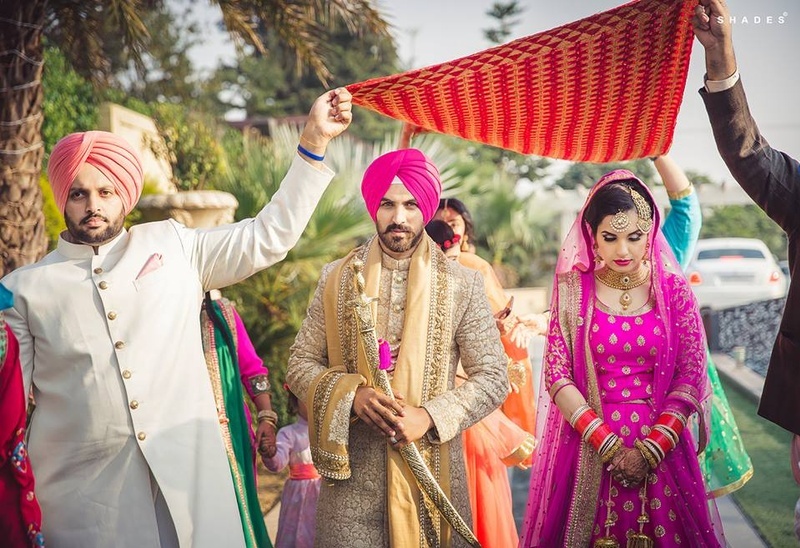 Wedding couple photography by Shades Photography India. 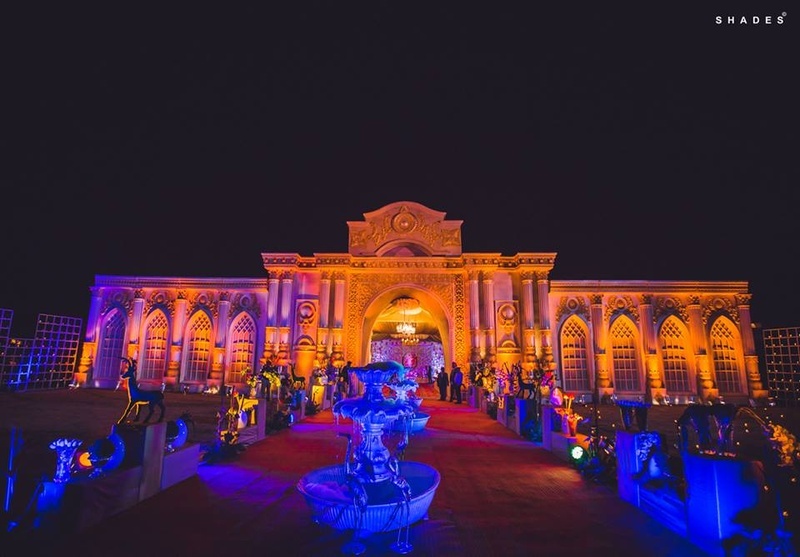 Reception venue decorated beautifully . 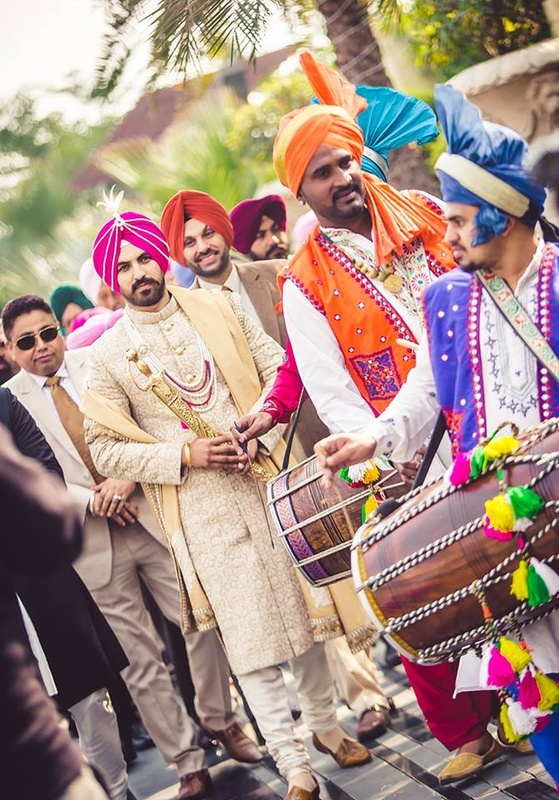 Navi and Aman entering their wedding reception. 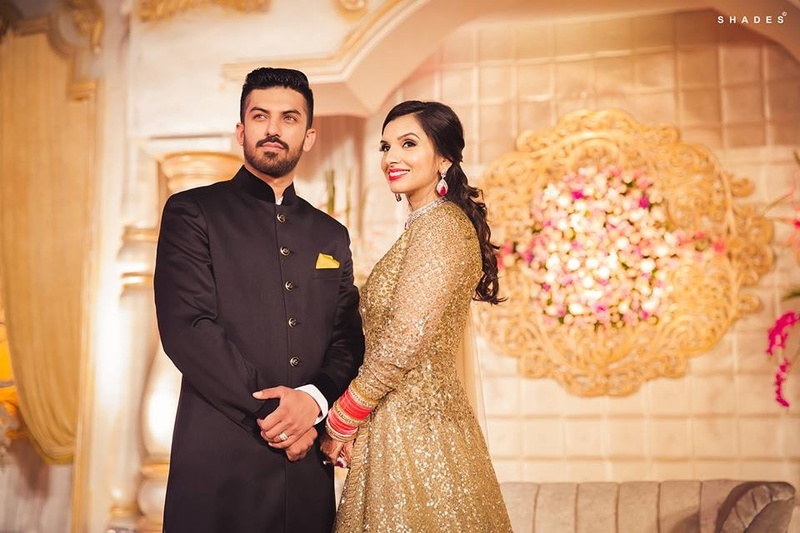 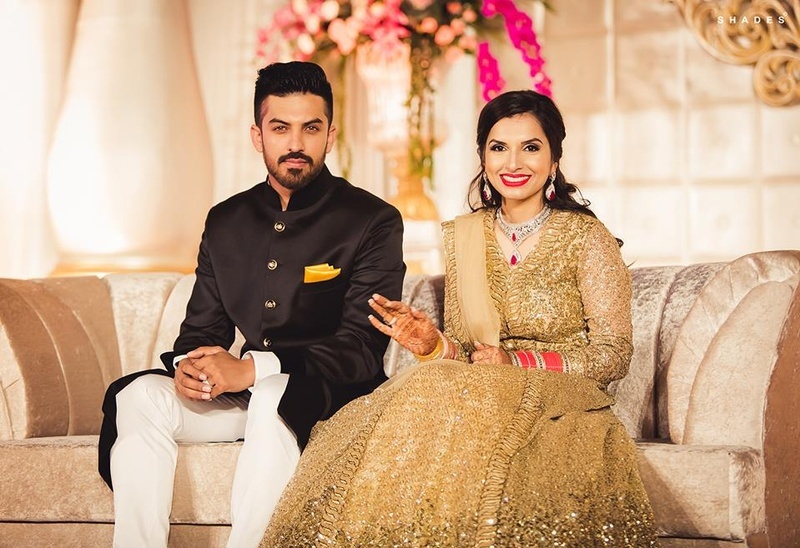 Navi and Aman looking classy and elegant with their gold and black color coordinated outfits. 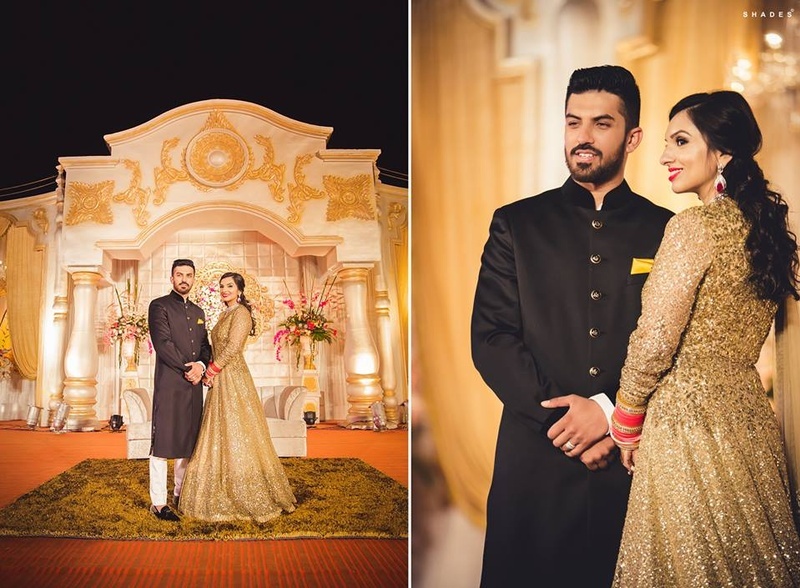 Aman in black bandhagala complementing Navi in gold anarkali. 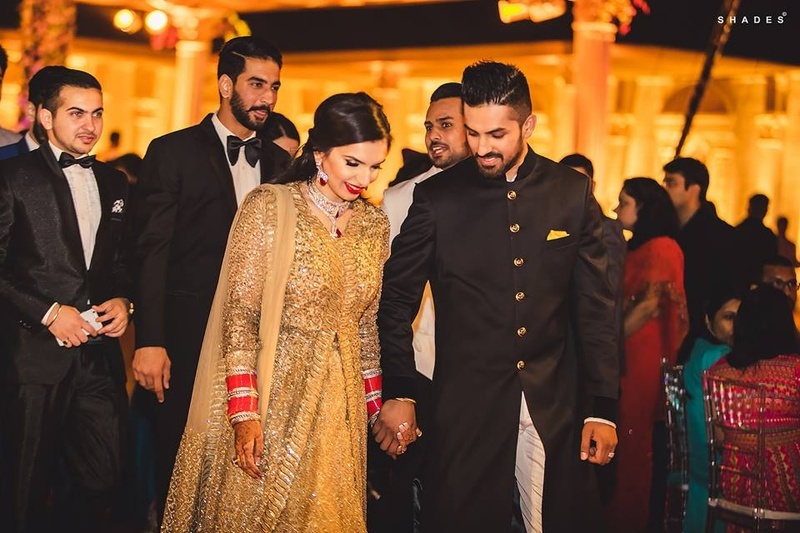 Navi wearing golden anarkali by Sabyasachi. 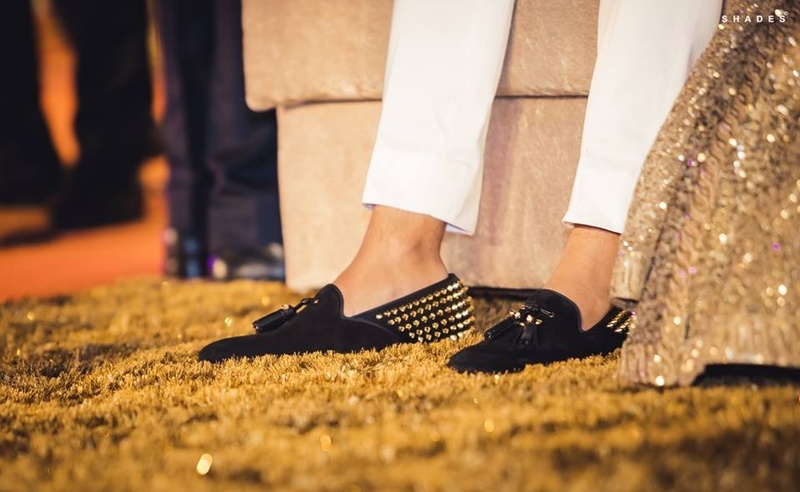 Wearing black studded loafers for the wedding reception. 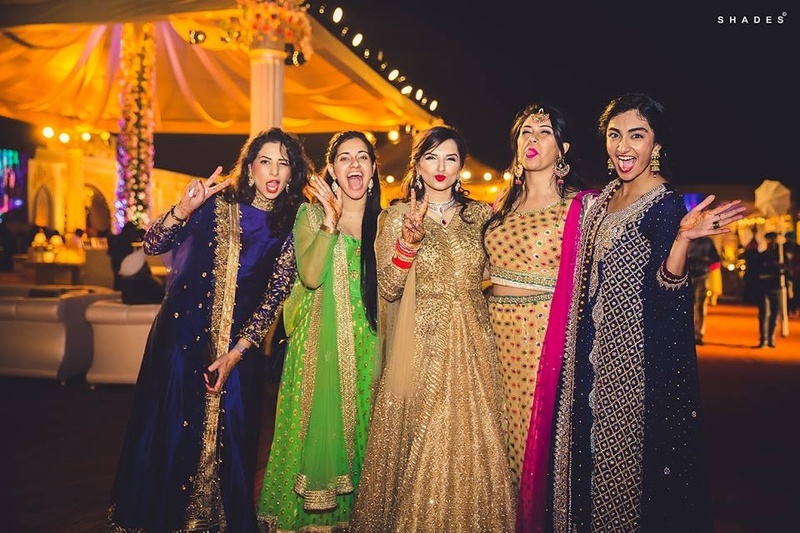 Bridesmaids wearing color coordinated outfits. 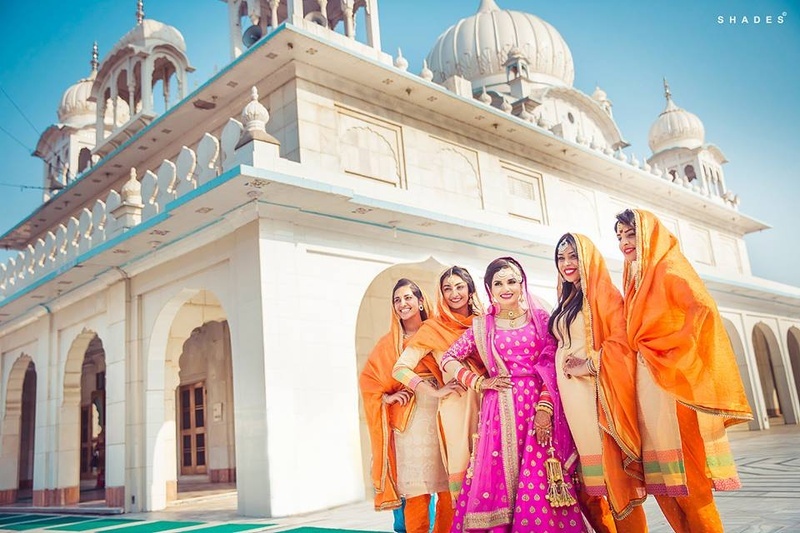 Bride and bridesmaids posing for the post wedding shoot.